Pisces have been asked by many customers to replace the grass they have with artificial grass because they like the fact that it is low maintenance, environmentally friendly and it is very cost effective. They also love the fact that if it rains their garden is left with no mud patches. It does not need to be mowed, saving you time to do the things you enjoy especially when the weather is good. If you have hay fever then artificial grass is really going to benefit you in a big way. So you can see why it is so popular. Pisces can offer their customers in Essex this service to suit their individual budgets because they supply and fit a wide range of high and low quality artificial grass. It is all guaranteed and will last for years to come. They will offer you free advice on this service and would love to give you a quote to make your garden look exquisite. Artificial grass can be used for nursery gardens, play areas, football pitches and around mobile homes. If you live in an apartment then we can lay artificial grass on top of your roof giving you the garden you have always wanted. It looks realistic and feels lovely to touch. It is ideal for children and pets and is easily cleaned if there were any accidents to happen. No weeds will ever appear on your new grass so the use of weed killer, fertilisers and pesticides will never be needed. Our professionally trained landscapers can come and measure up your garden and the exact area where you would like the grass to be laid. All measures will be carried out to ensure that a drainage system is put in place so that any rain water will flow away without leaving any huge puddles. 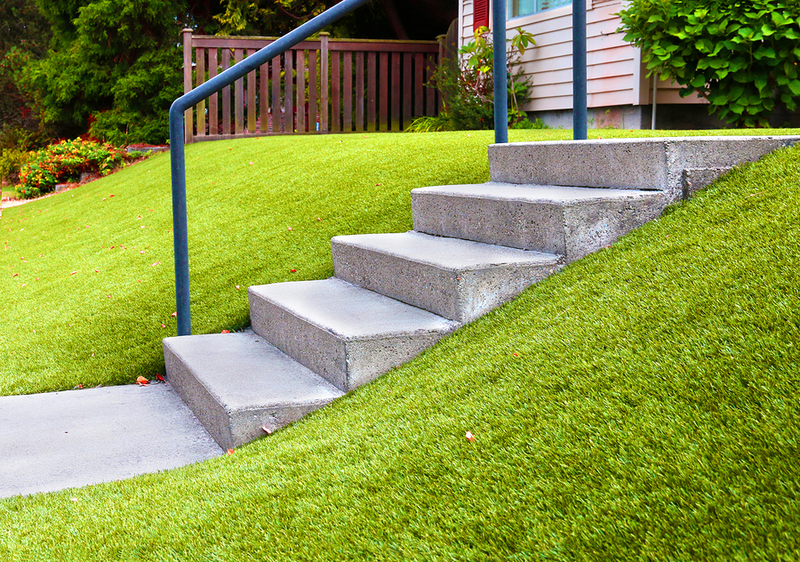 Pisces use a very popular type of artificial grass called Trulawn. It is highly recommended and is ultra-hard wearing. Just let us know when you are free for us to carry out the work and in no time at all your garden will be transformed in a beautiful place where you can relax and enjoy the lovely weather in the summer months. Pisces will happily take on any project no matter how big or small the project. They will always provide a first class, professional service. They are extremely reliable, completing any job in the time frame given. If you are thinking about having your whole garden changed, whether it is the front or back and you are thinking about having block paving then this is a service that Pisces are now offering to their customers in Essex. You can find out more information here about this service. To find out more about our artificial grass service please contact us on 01375 855584 or 07870 604036 for more information.